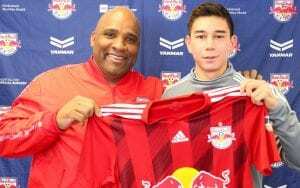 Beachside Soccer Club’s Former Player Kyle Zajec Signs His First Professional Contract with Red Bulls II. Beachside Soccer club is very pleased to Congratulate Kyle Zajec on signing his first professional contract. – Beachside Technical Director, Mickey Kydes.